Since Dr. Martin Luther King Jr. had a dream and today we honor his legacy, I am thinking about his teachings that brought hope, courage, justice, and timeless values rooted in love. Will and I recently whipped these up for the holiday season, but truly they are great to make year around...particularly during a week when we need to muster up that mightiness more than ever. Though a sticky endeavor, what I love about these sweet treats is that they stay pretty dang fresh for quite a long while...like, months in a properly sealed container. Also, I appreciate their versatility: they taste great in hot cocoa, melted on a warm brownie, atop sweet potatoes, nestled within graham crackers & chocolate...and really, just on their own. 1.) Pour 1/2 cup cold water into the bowl of mixer. Pour the two gelatin packs over the cold water and let sit for about 10 minutes. 2.) In a medium saucepan over medium heat, bring sugar, corn syrup, salt and the remaining cold water to a boil. Stir to dissolve the sugar. If available, attach a candy thermometer to the side of the pan and bring mixture up to 240 degrees F (no worries if you don't have one of these; we just waited until it got really hot). There’s no need to stir the mixture, this is all about just creating some heat. 3.) When the sugar is heated to 240'ish degrees F/really hot, turn the mixer with the gelatin and water on low speed. Very gently pour the hot sugar mixture into the bowl as the whisk churns (do NOT pour too fast; you do NOT want the the hot sugar on sides of the bowl). 4.) Start to gradually increase the speed of the mixer until you've added all of the hot sugary mix; beat on high for 6-8 minutes. 6.) Now the marshmallow mix is ready to be set. Tear a piece of parchment paper and lay within a pan. 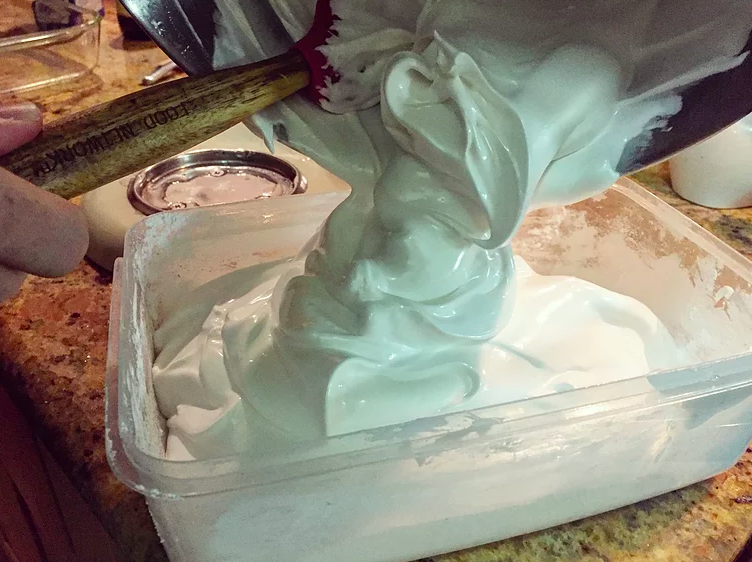 Pour the marshmallow mix into pan (we also used tupperware containers since we were making in bulk); spread & smooth with a clean, wet spatula to prevent sticking. 7.) Top with some crunch: either sprinkles or cookie crumbles or crunched up peppermint candies. Then, add a dusting of powdered sugar and let set for at least 3 hours. 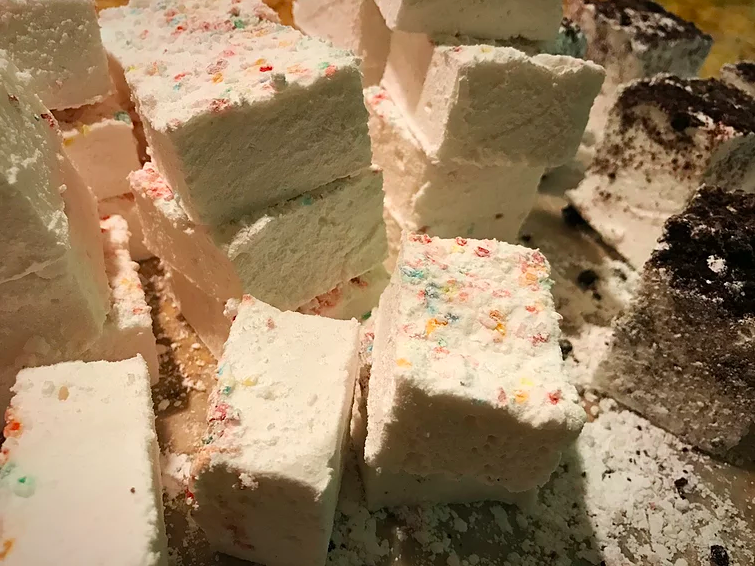 Okay so these marshmallows might not be as revolutionary as Dr. Martin Luther King Jr., but even through the gooeyness, the outcome is one of love and fluffed to inflate a dream-big-kinda perspective. Have a great week & stay puft, people. “If I cannot do great things, I can do small things in a great way.” - Dr Martin Luther King, Jr.